KEEPING YOURSELF, YOUR FAMILY AND FRIENDS SAFE WHILST AT SEA IS A MUST FOR ANYONE OUT ON THE WATER. 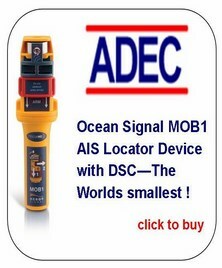 ADEC MARINE HAVE EVERYTHING YOU NEED TO ACHIEVE THIS. WE HAVE EXPERT STAFF WITH A VAST KNOWLEDGE OF MARINE SAFETY EQUIPMENT READY AND WAITING TO HELP YOU MAKE THE RIGHT CHOICE WHEN IT COMES TO KEEPING SAFE ON THE WATER. ADEC Marine ease the burden of knowing what is the correct marine safety supplies to purchase as our expertise and knowledge will keep you in safe hands. ADEC Marine started in 1965 and has been selling, servicing and hiring marine safety equipment ever since. Our staff have a wealth of knowledge and expertise to guide you in buying the correct marine safety equipment for when out at sea. ADEC Marine are a Member of the British Marine Federation. 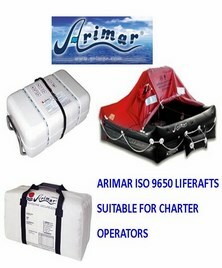 As well as the service of inflatable life rafts, inflatable boats, inflatable life jackets, immersion suits, tenders and dinghies, we also have an extensive fleet of inflatable life rafts for hire, from 4 person canopied yachting type to 130 person commercial open reversible liferafts. 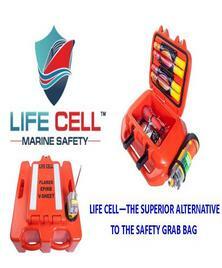 We operate our own Marine and Coastguard Agency (MCA) approved Liferaft and Life jacket Service Station in London. We can supply SOLAS/UK MCA/EC/MED approved marine safety equipment worldwide, such as liferafts, lifejackets, distress flares, ACR EPIRB's, Icom VHF Radios, SARTS, lifebuoys, anchor chain, fire extinguishers, smoke alarms, radar reflectors, Category C First Aid Kits, ACR Personal Locator Beacons, safety lines and harnesses, thermal protective aids, signal shapes. We stock brand names such as McMurdo and ACR EPIRBs and Personal locator beacons, ocean safety equipment, ICOM VHF Radios, ISO 9650 inflatable liferafts, Tohatsu Outboards, Mobmat, Scott Sabre, Comet and more.. We can service a range of manufacturer's leisure liferafts including Duarry, Highroad, ADEC Ningbo, Arimar, Lifeguard, Eurovinil, BFA, Plastimar, Lalizas, Avon, Ocean Safety, RFD, Raimar, Almar, Seago, Lalizas, Seasafe, Prosaver. Whatever your marine safety requirements, ADEC Marine have everything you require to keep you safe whilst at sea.